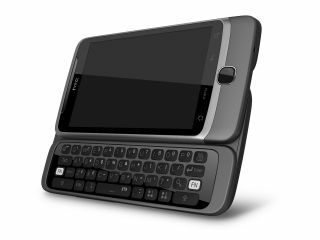 Vodafone has announced it's next up to stock the much-vaunted HTC Desire Z and sort-of-well-a-bit-vaunted Nokia C7. The HTC Desire Z is the surprise package of the two, coming in at £35 per month on a two-year deal, making it the same as the high-end Desire HD. Admittedly the Desire Z comes with a full slide-out keyboard, but it was expected to be a shade cheaper. The Nokia C7 is more in line with expectations, coming in at a more palatable £25 per month with a free phone or £20 per month if you want to pay £100 for the phone. The C7 also makes use of the new Symbian^3 OS used in the Nokia N8, which is a slight upgrade over the ageing S60 operating system the Finns have been using for years and years. Both are available now, so sprint down to your nearest Vodafone store to get your hands on one - or save some energy and do it online. It's actually cheaper that way too.